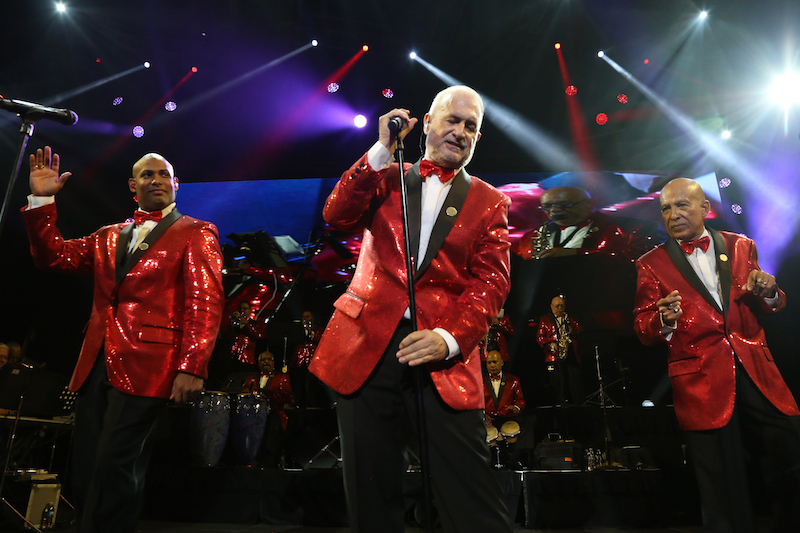 The historic night (held at Madison Square Garden) was presented by Felix Cabrera and included some legendary artists in their own right; which included Gilberto Santa Rosa, India, Jose Alberto “El Canario”, Ismael Miranda and others. The artists showed great chemistry as they duetted on some of the groups most classic songs. While most of us would assume 55 years of live performances would have us feeling exhausted, El Gran Combo proved otherwise. Almost three hours of live singing, choreography, instrument playing, and an immense amount of energy, they showed NYC exactly what is so GRAND about them! Chicago and Earth Wind & Fire Together Again!